Every young sports fan dreams of someday becoming a ï¿½Future Starï¿½. 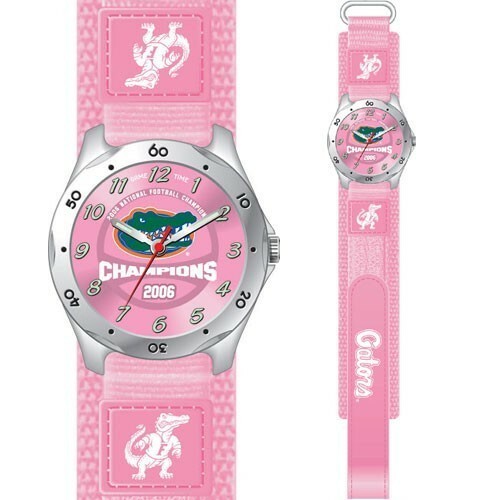 Now Game Time offers a watch specially designed for the next generation of sports fans. The Future Star Series features a simple and comfortable Velcroï¿½ strap that is easy for little hands to put on and take off and sized to fit small wrists. The face of the watch features easy to read glow-in-the-dark hands and numbers, perfect for Rookies learning to tell time. Of course it wouldnï¿½t be a Game Time watch if it didnï¿½t include officially licensed logos and colors protected by a genuine glass crystal and rugged metal case construction. And even though this may be a youth watch, it still carries Game Timeï¿½s trademark quality with quartz accuracy, water resistance to 3 ATM (99 ft.), and our Limited Lifetime Warranty.